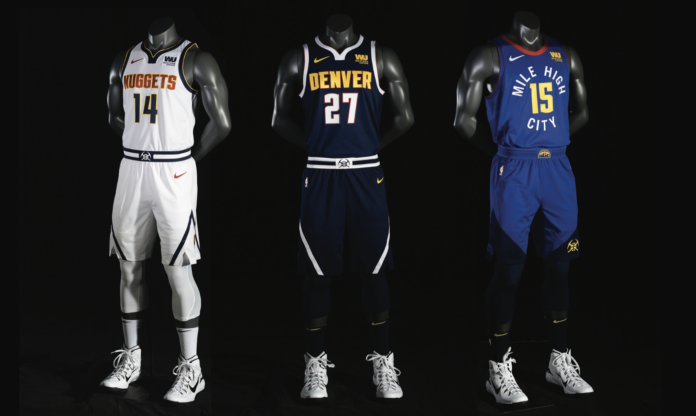 In a newfangled part of old Denver, the Nuggets unveiled an overhaul of the team’s logos and uniforms that put a modern spin on old classics throughout the team’s half-century of history. At the upscale alley known as the Dairy Block in downtown Denver, team representatives unveiled the Nuggets’ new look on Wednesday, evoking the colors of Colorado’s state flag while drawing its bloodlines from uniforms worn in the 70’s, 80’s and 90’s. 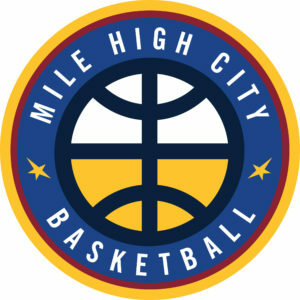 The multiple logos are designed in part to extend the Nuggets’ visibility internationally; the team’s current roster includes foreign-born stars Nikola Jokic (Serbia) and Jamal Murray (Canada), and rotation players Juan Hernangomez (Spain) and Trey Lyles (Canada); positioning them well in the NBA’s exploding global market. 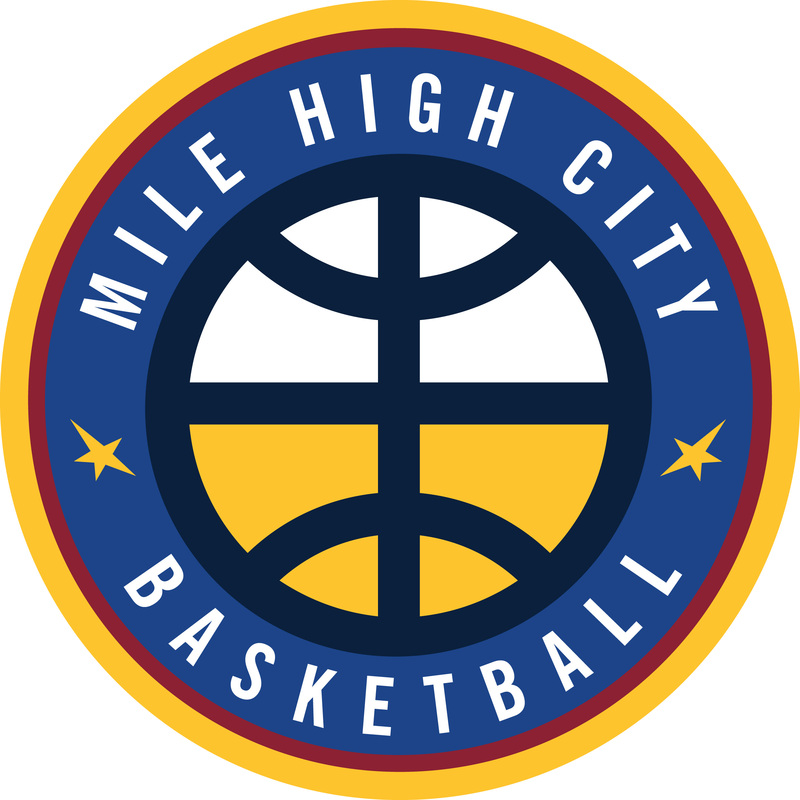 Echoes of the David Thompson/Dan Issel era of the 70’s Nuggets are reflected in the team’s bright blue, “Mile High City” branded jersey. The Alex English/Fat Lever 80’s Nuggets are reflected in the team’s new “skyline” emblem at the waistline of the same uniform, while the Dikembe Mutombo/LaPhonso Ellis 90’s Nuggets’ dark blue and burgundy-colored threads are echoed on the team’s primary away uniform. The Nuggets themselves are on the cusp of a pivotal offseason. 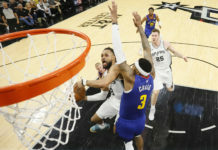 Forwards Wilson Chandler and Darrell Arthur have player options that they may choose to exercise, complicating the team’s salary cap status. Forward Kenneth Faried will make $13.7 million in the final year of his contract, but Faried remained on the bench for most of this season, and a divorce is likely best for both parties – assuming the Nuggets can find a trade partner. They hold the 14th overall selection in this month’s NBA draft… and then there’s Nikola Jokic. 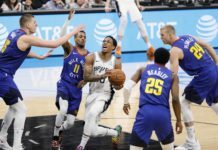 The Nuggets’ center – and centerpiece – can be a restricted free agent of the Nuggets choose to decline his team option worth roughly $1.6 million. As counterintuitive as it may sound, the Nuggets’ best opportunity to keep Jokic in the brand-new colors for years to come results in declining that option and making Jokic a restricted free agent. Doing so would allow the Nuggets to match any offer made to Jokic, meaning that a max offer by the Nuggets would be a no-brainer for the 23-year-old former second-round pick. 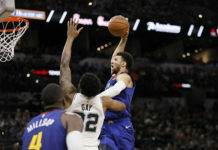 The Nuggets have narrowly missed the playoffs in each of their last two seasons, and as evidenced by the seven-game series par excellence between the Golden State Warriors and the Houston Rockets in the Western Conference Finals, the gap between Denver and the West’s top clubs is wide indeed. Those issues will addressed in due time. 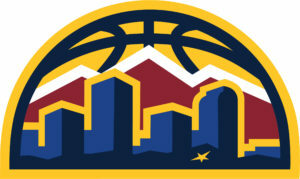 But on a warm weeknight in an ever-growing and dynamic city, the Nuggets – one of only two professional sports teams in Denver that have thrived long enough to watch the city evolve into the worldwide destination it is today – embraced the promise of a brighter future, while ensuring that they still remember how it all began.